For printing instruction, please refer the main mind maps page. Following table gives the URLs of all the vulnerable web applications, operating system installations, old software and war games [hacking] sites. The URLs for individual applications that are part of other collection entities were not given as it is not necessary to download each of them and manually configure them if they are already available in a configured state. 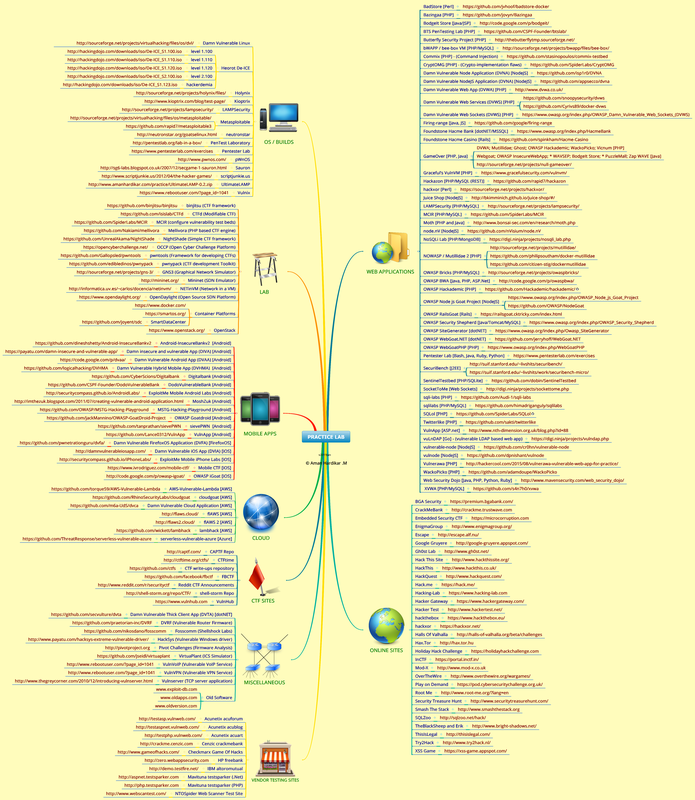 For technologies used in each web application, please refer to the mindmap above. There are other war games sites also. The sites whose core objective is hacking and available for free to all are in the above list. Rest of the sites focus mainly on software cracking, logic/puzzles and therefore not included in the hacking related list.